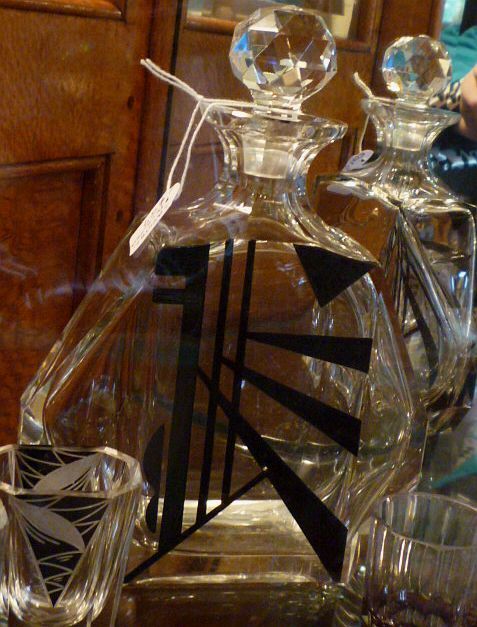 We've had some rather serious Art Deco glassware hit the shop in the last few weeks. 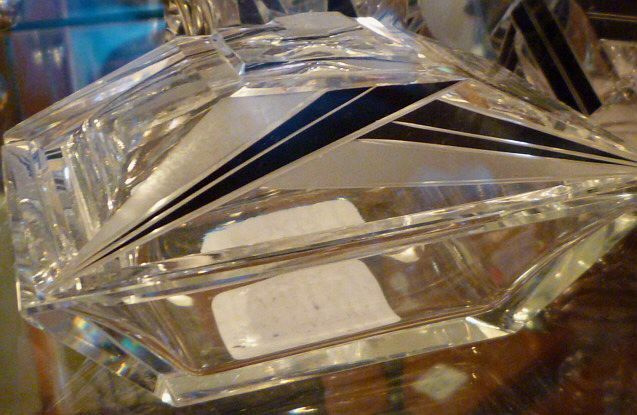 Whether Art Deco is 'your thing' or not, I'm sure you can appreciate the sheer beauty of these rare and exquisite pieces. Imagine sipping your schnapps (or is it Baileys you prefer?) 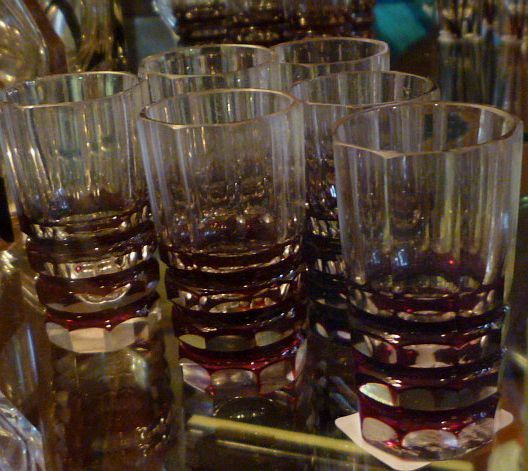 on a cold winter night from these hand-cut Czech crystal liquers...I think they'd make everything taste better! 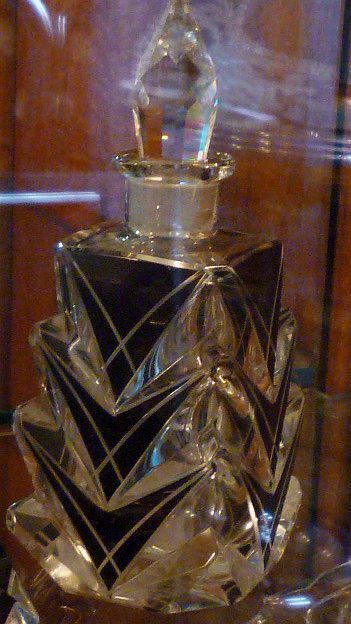 This French vaseline glass vase by Julien unfortunately doesn't photograph too well, in person this is stunning, especially when the light catches it through the window. ...and trinket boxes. Again these are much nicer than they look here, the light-filled mirrored cabinet they live in can only do them justice in person. Search ebay (even internationally) and you'll be flat out finding a single one of these pieces. There's more than I can show here....A lady in the shop today actually insisted that they must all be reproductions (! ), simply because we have so many. But I beg to differ, they all came from one collector who is a friend of Sues. Am I turning you into an Art Deco collector yet?? 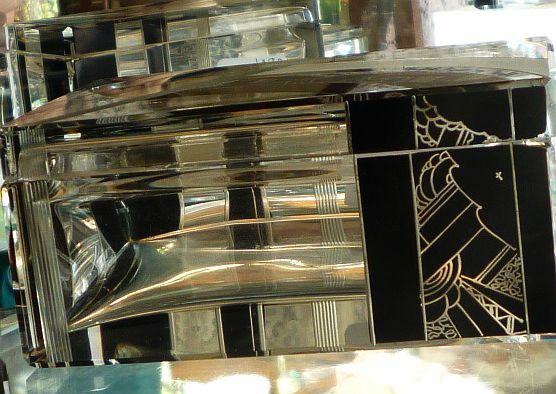 I love art deco and I love these beautifull pieces. They would look so good on my liquer-cabinet. :) I wished your shop was a bit closer to where I live. What a wonderful haul! 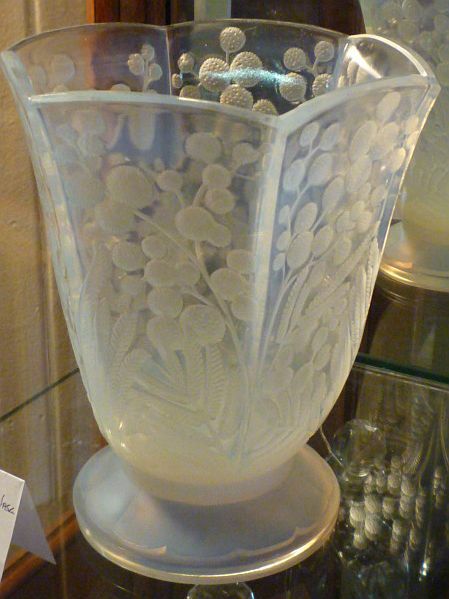 My favourite is the French vaseline glass vase - adorable and so stylish. Gasp! They are stunning. So elegant. Bet they are snapped up right away. 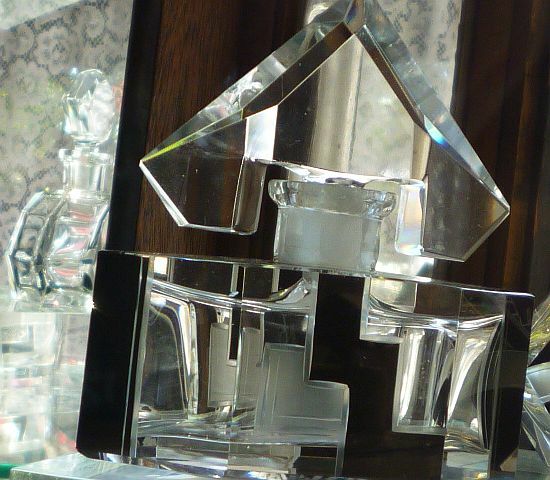 Wow these are amazing and yes I'm a lover of it.....I got 2 call this week to appraise stuff before it hit the sales....so exciting I have not been asked to do this since I closed my shop at Christmas its been so much fun! I bet you get asked to do this a lot also! 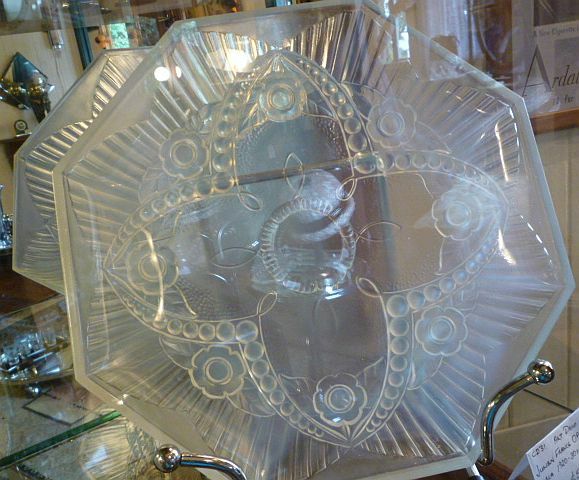 The penultimate one's my favourite, I'd fill it with bubble bath and keep it next to the bath. Oh boy. Been a huge fan of Art Deco for a very long time. I can't believe how many amazing pieces you find! I love all this beautiful pieces amor.especially the Chezz black one so sharp. I love art deco. seen lots at the boot sales but not this beautiful. There are some stunning pieces here. My favourite is the vase by Julien. I have only come to appreciate deco in the last few years! 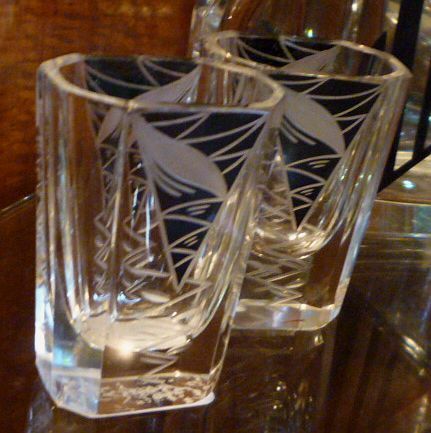 I was more into Art Nouveau,as I liked the flowing lines ,whereas deco is more sharp....but now I love them equally! I wouldn't collect it unless I could afford to go all out,though,and had one of those fab flat roofed deco houses! OoOoO la LAAAA! These are all insanely gorgeous. I would be so thrilled if I ever came across even one one my hunting.